We are excited to announce that we are now taking pre-orders for the ADDAC807 VC Stereo Summing Mixer!!! Pre-order limited batch pricing is 1200€ + 500€ including shipping! After receiving payment, the modules should be ready in 6 - 8weeks. There may be the proverbial unexpected delay, which would push the delivery to 10 weeks, but as always well do our best to have these on time! Let us know if you’re interested and we'll send you PayPal/bank info for the preorder. More info will be available soon, but if you have any specific questions just let us know! thats a live acts dream! 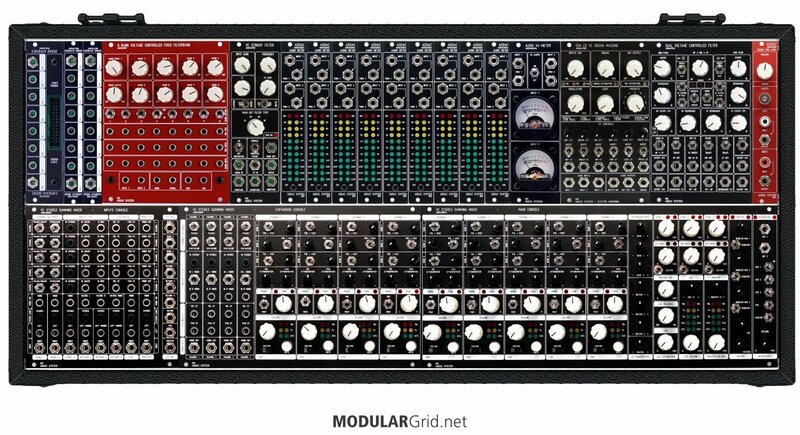 I would route all hardware boxes like octatrack or rytm through it, so the modular would be integrating them not the opposite! how is the connection between the inputconsole and the main unit? can the inputs be inside another rack, so that the main part is a "box" in its own? They are connected via two ribbon cables on the back of the modules. I imagine with a long enough ribbon cable you could place the Inputs anywhere 'within' the same rack. Trying to separate them in two different rack enclosures would be challenging with the rear routing of the ribbon cables. Depends on the case design I guess. Still, the idea is that you move the modules around so that you have them set up exactly how you like. Makes absolute sense to me. Also, from what I remember, you can expand this as much as you want with that third (expander) module. Man, I want a standalone case with just these in! I saw some photos in ADDAC's instagram and that nailed my GAS. I would imagine there is a limitation to how long the ribbons can be before they become antenna and start picking up all the RF noise from all the unshielded digital modules in your system. I can see a 6U cabinet/skiff with the performance controls on the bottom (front in a skiff layout) and the inputs on the top (back on a skiff) with the extra space on that row taken up by Efx modules and such. then let your imagination may be your only limitation..